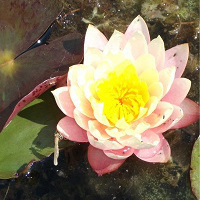 The Lily Pons water lily (Nymphaea ‘Lily Pons’) sports beautiful medium to light pink flowers that have a shape like a multi petaled peony with a deep yellow centre. The flowers which have 76-103 petalsÂ grow up to 5.5-7 in (14-17.8 cm) across they have a slight fragrance. The leaves are dark greenÂ and the underside is red with prominent green veins. The leaf shape is round with an open sinus and they grow to 8in (20.2 cm) across. The foliage spreads to 48-72 in (120-180 cm). 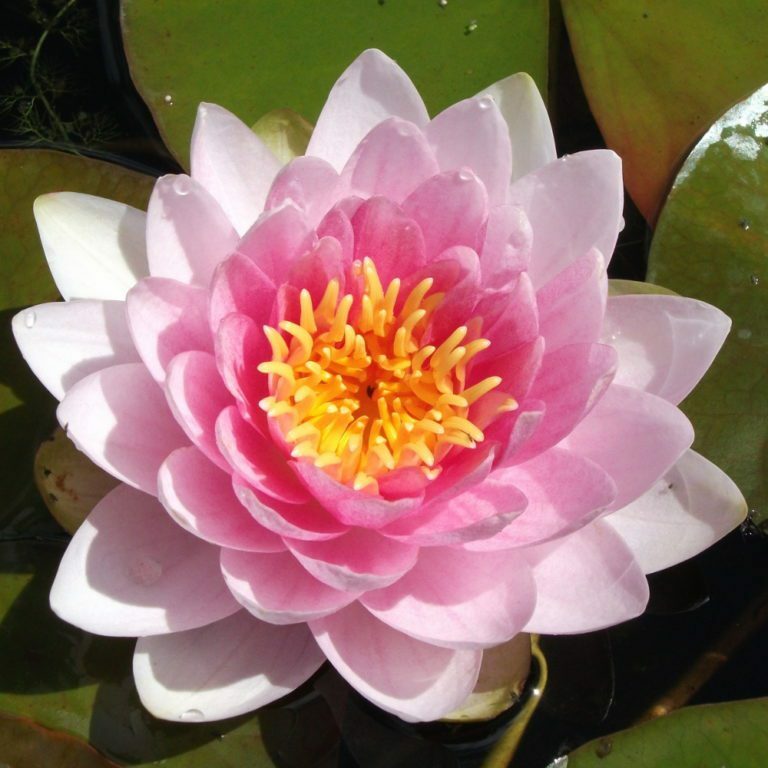 To fully appreciate the beauty of Lily Pons water lily one needs to give it plenty of room therefore it is best for medium to large ponds. We ship all lilies bare root, this means that we wash the soil off before packing the plants. During the summer months we may need to trim some of the foliage back for shipping.